 How the Affordable Care Act will Affect Radiology Services - ONRAD, Inc.
With the Supreme Court’s decision to uphold the Constitutional legality of the Affordable Care Act (ACA), health care providers are asking questions about how the Act will affect their practices. Those who work in radiology services are certainly no exception. Modern medicine, after all, relies on radiology far more than it did in the past. While nobody can predict the final impact of the Affordable Care Act on diagnostic imaging, there are a few preliminary observations to be made. While United States law prohibits physicians from referring patients to providers with whom they have a financial relationship, ancillary services provided in the same facility — such as in-house X-ray services — are a legal exception to this rule. The ACA expands requirements for referral to “in-house ancillary services” by requiring physicians to provide patients with a disclosure stating that similar services are available elsewhere, as well as a list of nearby providers. Stand-alone radiology providers may, as a result, see an increase in their patient numbers. The impact of the Affordable Health Care Act on radiology services performed in an Emergency Room setting is difficult to predict. Emergency room physicians rely on radiology more than they did in the past, with many seeing an X-ray or other imaging as crucial to making the correct diagnosis. It is unlikely that, in an environment where quick decisions are crucial and where many patients are uninsured, either health care providers or insurers will be able to effectively limit the use of radiology services. The Affordable Care Act may drastically affect imaging services provided in non-ER hospital and outpatient settings. One of the key goals of the ACA is to encourage integrated service provision, with bundled payment schemes and outcome-based treatment methodologies, with the ultimate goal of controlling costs through an emphasis on quality over quantity of care. Radiologists should expect to work more closely with specialists in other disciplines, as well as with primary care physicians. The shift to outcomes-based treatment may also encourage positive changes in the radiologist’s working conditions, such as more predictable schedules. Radiologists, like all health care providers, work in a rapidly-changing field, and should keep a close eye on emerging trends. In an an age when the use of imaging is coming under scrutiny because of it’s cost and occasional overuse (especially in the ER setting), those providing radiology services need to both make their contributions clear, look for ways to reduce costs in their departments, and make sure they have the necessary people skills to collaborate with other health care providers. This will ensure they get through the changes imposed by the ACA with their careers intact.